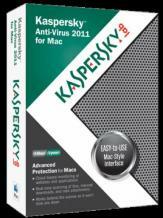 Kaspersky Security for Mac is an antimalware software suite providing advanced protection for Mac-based system. The application is fully prepared to prevent your system from getting infected from any of the 30,000 or more threats that appear on a daily basis, including the ones designed specifically to target Macs. The Safe Money technology safeguards your online banking and shopping activities, making sure your financial information is not intercepted by unauthorized third parties. Kaspersky Security blocks network attacks so your Mac will not be compromised or slowed down. The update process is fully automatic – the program itself will verify update availability and install them, with no attendance needed. You can easily manage your security, use the provided online tools, download free products from Kaspersky Labs and access special offers from your free My Kaspersky account. Kaspersky Security for Mac helps you protect your children from the dangers they can come across online. It lets you easily prevent app store purchases, block inappropriate content and disclosure of personal information as well as control access to social networks and games. The built-in antimalware technologies protect your system against a large array of threats and prevent spreading of malware to other computers. You’ll also be warned when you’re about to visit a dangerous website, and phishing and malicious sites will be blocked automatically.